One of the UK's top head teachers has been sacked for "gross misconduct". Tim Dingle of the Royal Grammar School in High Wycombe, Bucks, was at the centre of allegations of womanising and drug misuse in a tabloid newspaper. Following an independent investigation the school's governors have concluded he should be dismissed. They did not give reasons but did say there was no evidence to support one claim - that he had used drugs confiscated from boys at the school. Mr Dingle could not be contacted for comment. The Daily Mail in February quoted a woman who said she was a former lover of Mr Dingle's. She claimed he had pretended to her he was a back surgeon from Cambridge. She also said he had been seeing other women while still married. The school's investigation was led by a retired chief education officer from outside the area. It also asked an independent audit firm to review its financial procedures. A letter to parents from the school's chair of governors, Andrew Higginson, said the investigation has been an opportunity for Mr Dingle, 46, to put his side of events. "We presumed innocence, until proven otherwise." Mr Higginson said the financial report was "reassuring", though some minor changes to the school's procedures had been made. "With regard to the main investigation, a number of people came forward to give further information and a good deal of detailed evidence was gathered." Once the investigator's report had been received, Mr Higginson said he had asked the governors' staff dismissal committee to meet. "I am sorry to inform you that the staff dismissal committee ... unanimously decided that Tim Dingle should be dismissed from his post for gross misconduct." He did address one specific allegation made by the Daily Mail "which may have given cause for concern". This was that the former head teacher had used cannabis confiscated from boys at the school. Mr Higginson said there was "absolutely no evidence to support this suggestion". In practice Mr Dingle has already left the Royal Grammar, having announced last year he was resigning to take up the headship of a leading private school in Argentina. It was announced recently that he would no longer be taking up that appointment. In that sense the dismissal is meaningless but Mr Higginson said that, in keeping with the values the school instilled in its pupils, "the findings were of sufficient seriousness to require there to be consequences". "In this case, the only proper consequence of Tim's actions, in our view, was dismissal." He said the school was "far bigger than any one individual". 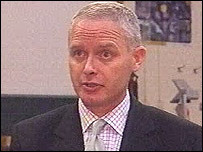 It considered the matter closed and intended to move on under its new head, former deputy head Roy Page.